tourist services not connected with transportation or accommodation (art. 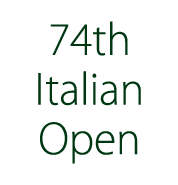 7 , letter 1) and m), which constitute a significant part of the tour package”. Legislative decree n.111 of 17/3/95 implementing Directive 90/314/CE establishes, for the protection of the consumer, that the organizer and seller of the tour package addressed by the consumer shall have the administrative authorization to carry out their activity (article. 3/1, a, legislative. decree 111/95). The consumer is entitled to a copy of the tour package sales contract (in compliance with article 6, legislative. decree 111/95), which is the document indispensable for eventual access to the Guarantee Fund as per article 14 of the present General Terms and Conditions. The sale contract of the tourist package is written in clear and precise terms. A copy of the contract stipulated, signed or stamped by the organizer or the seller is given to the consumer. 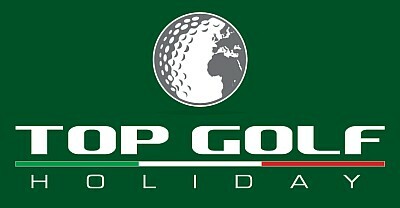 The acceptance of reservations by TOP GOLF HOLIDAY is subject to availability of its providers. Reservations will be considered confirmed after communication by TOP GOLF HOLIDAY, via e-mail or fax, to the seller travel agency of the client or directly. Indications relating to the tour package not contained in the contract documents, brochures or other forms of written communication will be supplied in time by TOP GOLF HOLIDAY prior to the initial starting date of the travel. Upon booking, a registration fee and a deposit of 25% of the total amount is required. Full payment is due 30 days prior to departure. For reservations made within 30 days of departure, full payment is due upon booking. Lack of payment of the abovementioned sums on the established dates constitutes reason for cancellation of reservations, as well as the right of TOP GOLF HOLIDAY to terminate the contract and to claim compensation of possible further damages. Stay and travel rates are determined on the catalogue or on the program out of print and could increase until twenty-first day prior the departure due only to changes of transportation costs, including the cost of fuel, rights and taxes on certain services as, for example, the landing, the landing or boarding rights in ports or airports, exchange rates applied to the particular all inclusive service. In the event of an upturn of over 10% of the tour price, is given to the consumer the right to accept the increase in the price or withdraw from the contract, upon notice to be sent to SDT within the deadline 8 days from the knowledge of the new price. In the latter case, the consumer may decide to take advantage of the full repayment of the already paid or other equivalent or superior service that is possibly offered. In any case, the listed price cannot be increased during the twenty days preceding the date of the expected departure. in case of significant changes by the organizer or by seller before departure, not accepted by the consumer and engaging one or the most essential elements of the contract, also configurable as objectively fundamental to the fruition of the tourist package. The consumer can also request the repayment of the amount already paid within seven working days from the time of withdrawal or cancellation. The client must communicate the decision (to accept the change or to withdraw) within the peremptory time limit of two working days from the receipt of the communication of the amendment; in the absence of specific notice within the said term, the proposal made by TOP GOLF HOLIDAY will be considered accepted. 100% of the tour package price beyond these terms, even if the failure departure is due to deficiency or inaccuracy of the necessary personal documents or in case of cancellation during the course of the stay. In the event that, prior to departure, the package tour is canceled for any reason, except for the fault of the consumer, or the organizer or seller informs the customer about significant modifications of one or more objectively essential elements of the contract, the consumer may withdraw from the contract without penalty if he doesn’t accept the change. He could also make use of the alternatives provided in the article n. 6 of these General Terms Conditions. The organizer may, in the presence of reasonable grounds, to introduce changes in the program if the services provided are not objectively lower than originally anticipated (eg: accommodation in a different hotel but with a not lower category of the one indicated in the program). When an essential part of the services foreseen by the contract cannot be furnished (except that the impossibility comes from a fact of the consumer, third parts, accident or force majeure), TOP GOLF HOLIDAY proposes, when possible, appropriate alternative solutions for the continuation of the programmed journey without additional costs for the consumer, or it refunds the client with the difference between the services foreseen and those furnished, damages excluded. Where it is not possible to make such arrangements or the consumer considers not to join the alternative offer, justifying its resolution with serious and objective reasons, the organizer provides a means of equivalent transport back to the place of departure or to another place eventually agreed, without any charge to the consumer and by refunding the difference between the services enjoyed and those agreed. In case of cancellation of the trip by the seller or by the failure to reach the minimum number of participants stipulated in the contract informed twenty days prior to departure, the consumer is given the opportunity of make use of the alternatives provided for in article n. 6 of these terms and conditions contract. The client renouncing at the contract may be substituted by another person if this person is able to satisfy all the conditions for the fruition of the service (ex article 10 of Legislative decree n.111/95) and in particular the requisites relative to passports, visas, health certificates. Furthermore, the consumer has to give TOP GOLF HOLIDAY written notice about his impossibility to participate to the travel at least 4 working days prior to the date of departure, and the particulars of the person who replaces him. The client who renounces has to pay in any case the registration fee, where estimated. The transferee refunds TOP GOLF HOLIDAY for all expenses incurred for the transfer of the contract for the sum specified before the transfer. Moreover, the transferor and the transferee are both accountable for the payment of the price as well as for the possible and further costs of the changing. The damage caused to the person by misconduct or by an incorrect execution of the tourist service is refundable within the limits of mandatory provisions contained in international conventions regulating the subject and which are part of Italy or the European Union. The right to compensation shall expire three years from the date of return of the traveler, unless the term of eighteen or twelve months for the non-fulfillment of transport services included in the package, for which refers to Article. 2951 cc, which regulates the limitation period for the shipping and transport. The parties by written may agree about limitations to compensation, other than damages to the person, resulting from non-fulfillment or from the incorrect performance of the services covered in the package, within the limits of art. 13 of the Brussels Convention of April 13, 1970 (CCV), implemented by Law 29 December 1977, n.1084 and subsequent possible modifications, making notwithstanding what foreseen in the art. 1341, paragraph 2, Civil Code. The right to damages compensation shall expire one year after the traveler returns to the place of departure. TOP GOLF HOLIDAY is not liable for failure or incorrect execution of the contract caused by the consumer (including the client’s autonomous initiatives taken in the course of execution of the tour services) or by circumstances extraneous to the fruition of the services envisaged in the contract, fortuitous events, acts of God or “force majeur”. The organizer or the seller who has refunded the consumer are surrogates for all rights and actions of the customer to third responsible parties. The consumer must provide the organizer or seller all documents, information and evidence in its possession to enable the exercise of the right of subrogation. The organizer is required to provide assistance to the traveller according to criteria of normal professional diligence in fulfilling the obligations placed on him by the law or contract. Any deficiency in the contract must be contested by the consumer without delay, so that the organizer can remedy it. Complaints may be presented by sending organizer or seller a registered letter of parcel with advice of delivery within and not later than ten days from the date of return. If the complaints are presented at the place of execution of the tourist services, the organizer is required to provide the customer the care demanded within the limits mentioned in art. 11 of these conditions, in order to seek a prompt and equitable solution. The traveler loses the right to ask the organizer compensation for any damage for loss of money, objects of significant economic value and other assets in case he did not reported in writing before the start of the trip, and consequently he does not have them insured. Hotels and tourist residences are classified according to criteria established by each Region on acts of directing and coordinating of the government established by 30.05.1995, n. 203. In the absence of official classifications recognized by the competent public authority, the organizer, on the base of his own evaluation criteria, will fix a classification based on the quality standards of each individual hotel/ tourist residence. The President of the Council of Ministers, under Article 21 of Legislative decree n. 111 of 17/03/1995, has established a Guarantee Fund in case of bankruptcy or insolvency of the organizer or seller. This fund can be utilized by all travelers to get the reimbursement of the price paid and the repatriation in the event of travel abroad, as well as to provide immediate availability of funds in case of forced return from outside the EU. SDT is covered by insurance policy n. 752.014.0000900725 with the Company Vittoria Assicurazioni S.p.A.
Any legal dispute reflecting the relations regulated by this agreement is the sole competent Court of Turin.